We have a limited number of partially and fully subsidized Passover Seder reservations available. 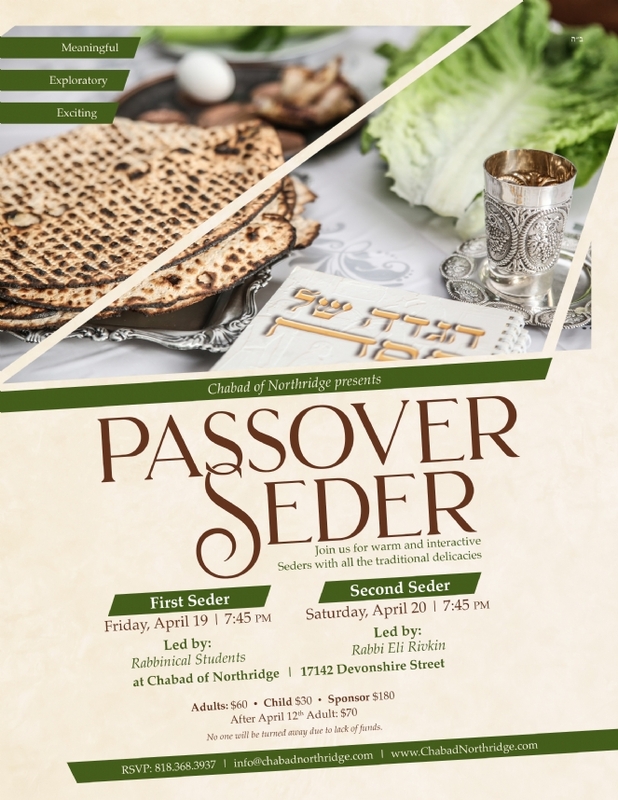 Please email rabbi@chabadnorthridge.com to request assistance. I would like to Volunteer for the Pesach Seder. Please contact me. I would like to make an optional donation of $ to the Passover Fund to assist the needy.